Is it worth it? 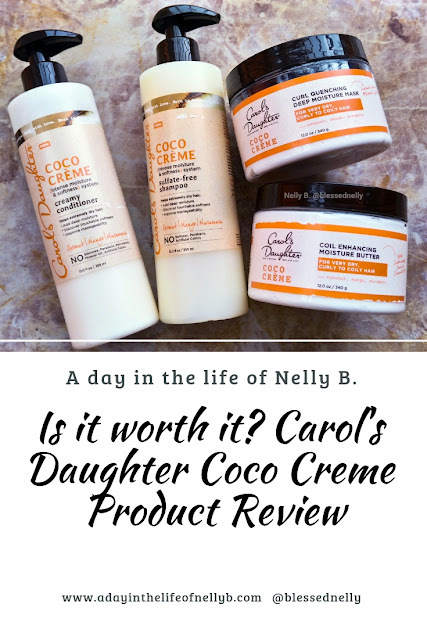 Carol's Daughter Coco Creme Product Review - A day in the life of Nelly B. One thing to note off the bat is that the scent is the same across the entire line. The Coco Creme scent is fruity, and while the scent isn't overpowering for me, I can see it being a little bit much for those who are scent sensitive. Not sure you'll like the scent of something? Sniff it before you buy it! So to start off my wash day, I used the shampoo. In terms of the consistency, it's pretty much comparable to other shampoos. Does it lather well? Yes it does. One thing to note is that the pump only releases a small amount at a time, so you'll find yourself using a few pumps of it well. With that said though, I still didn't have to use an excessive amount of it in order to thoroughly cleanse my hair. 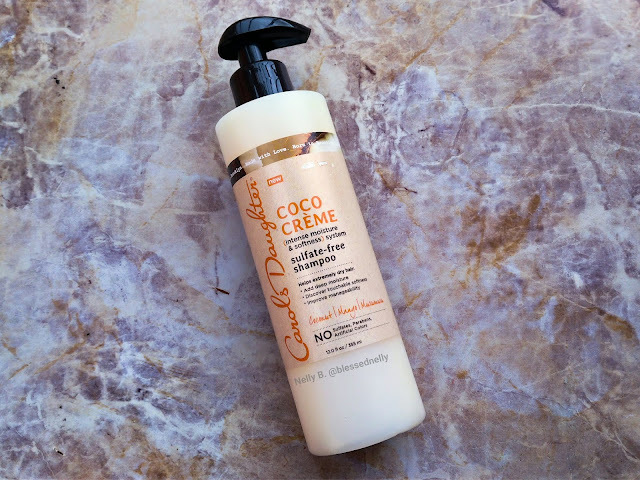 Does it leave my hair feeling stripped? Not as much as I thought it would have, but most importantly, my hair felt clean, and not brittle after I used it. I followed up the shampoo with the conditioner. The consistency is creamy, but still liquid enough to come through the pump. Ladies and gentlemen this conditioner is the ish!!!! First off, I didn't use anywhere near the standard amount of conditioner that I regularly use, and this left ya girl shook. Also, the slip was surreal. Similar to the shampoo bottle though, I had to pump it too many times to get out what I felt was a satisfactory amount of conditioner for my usage. So based on the conditioner's performance, yours truly had some high hopes for the deep conditioner. Good thing this doesn't come in a bottle in a pump because it is thick. Sadly, out the gate, I was a little disappointed. Mainly because I didn't get the initial slip I thought I would have experienced. However, the more I worked it into my hair, the more I did manage to get some slip. It's like the slip showed up a fashionably late to the deep conditioning party. I left it on my hair under a shower cap for about a forty minutes. Given how the application process started, I wasn't expecting my hair to feel buttery soft like it usually does after my regular deep conditioning treatments. HOWEVER, my hair felt really good after I rinsed the mask out. I was genuinely pleased with the aftermath. Now I'd normally use a butter like this as the C in my L.O.C. but for the sake of this review I initially tried it on my hair by itself. 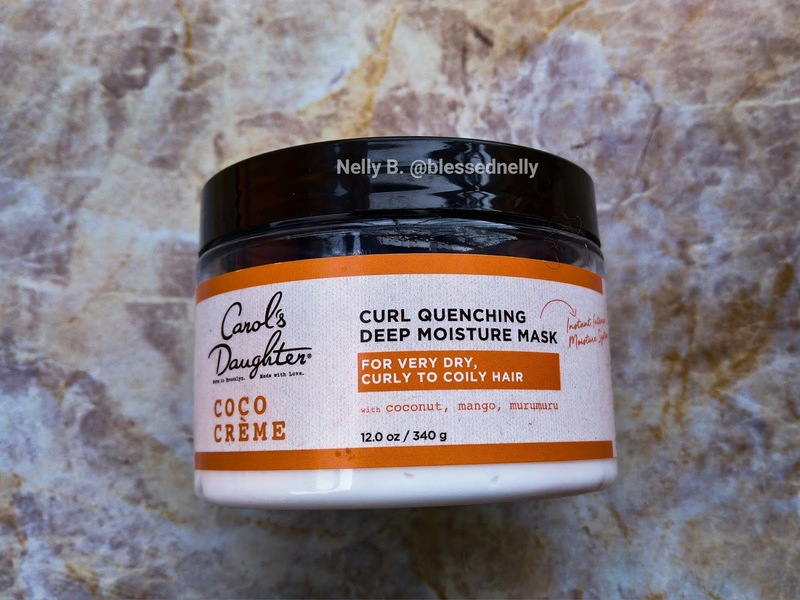 I applied it on damp hair, and put my hair in some twists for a twist out the next day. For that week, I wore my hair out, retwisting at night to preserve the twist out. Two things surprised me about this butter. 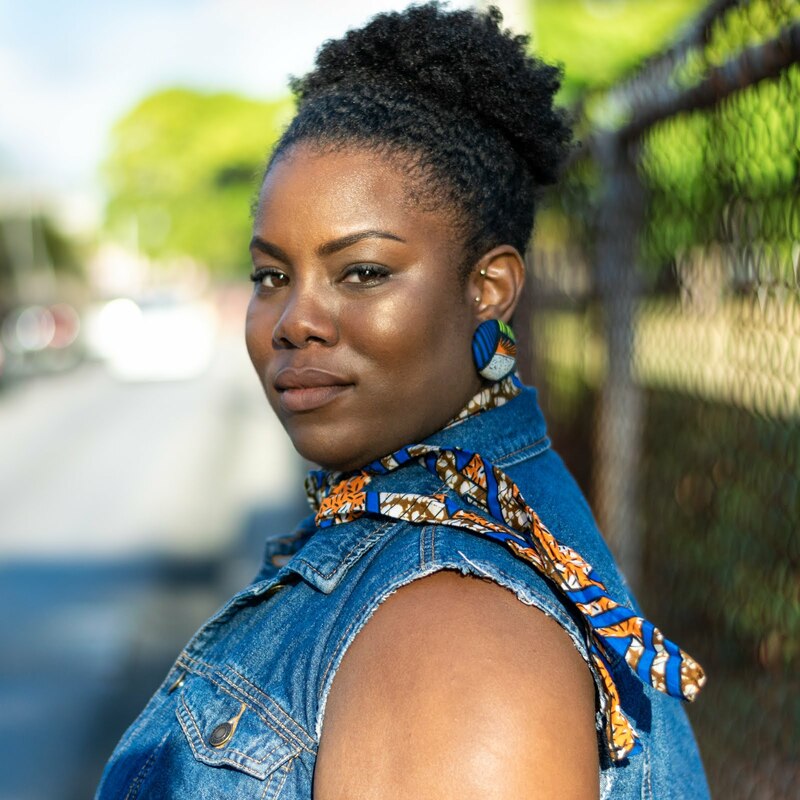 The first was that I had a really boss twist out from using the butter alone in my hair. Looking back, I should have taken a photo of my hair, the twist out that was good. The second thing was that my hair remained moisturised for longer than expected. In trying out these products, I deliberately wanted to test how long my hair would stay moisturised from that one application. I washed my hair the Saturday afternoon, and I didn't apply any type of product or spray in my hair until the Wednesday night. Considering that I wore my hair out everyday, and one or two nights I didn't sleep with a satin bonnet or pillowcase, I'd say that is pretty good for one product on its own to do. 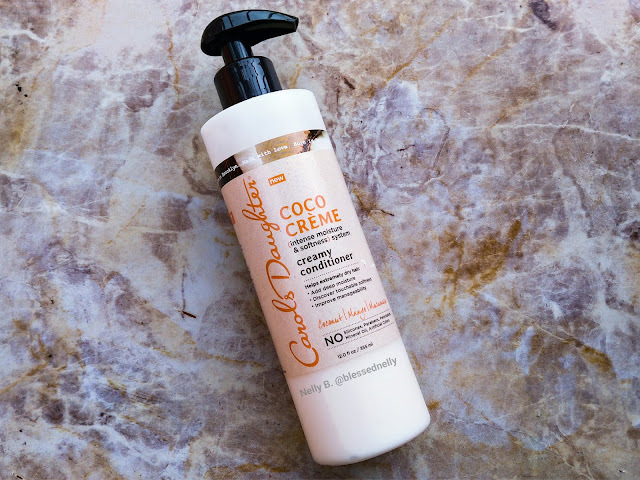 In addition to what surprised me, a plus was that this product mixed well with quite a few of my other products, so I didn't have to worry about any of my product combinations flaking or leaving any white residue in my hair. 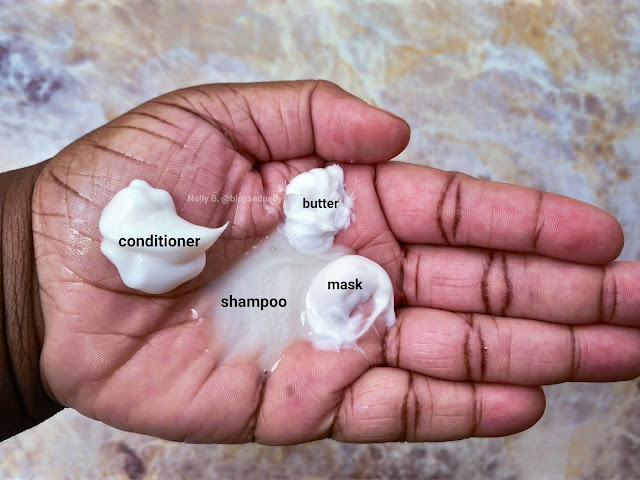 Click here if you want to learn how to tell if your hair products mix well. Overall, I like this line. Some products were good, others were REALLY good. 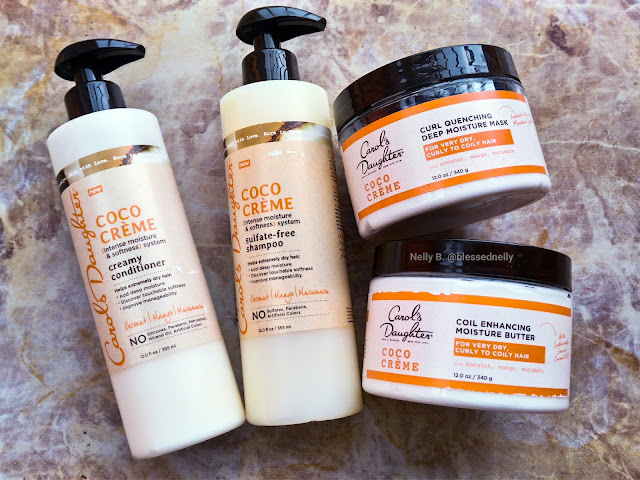 In terms of price, the cost of these products fall within the $100 range, which I know may be on the upper end of the price range for some naturals. 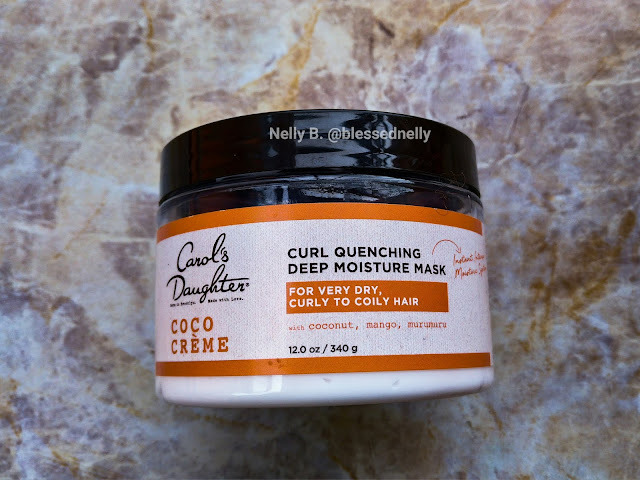 Based on my own experiences, I would recommend this line, but at the same time, like I always say, the natural hair journey is one of trial and error. So go forth! 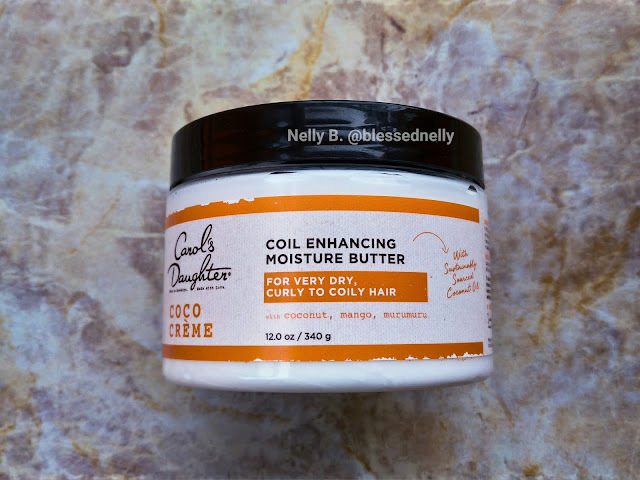 And I hope that you find the products that work for you sooner than later in your natural hair product buying and trying. Carol's Daughter is currently retailed at Pennywise, Superpharm and Excellent Stores.